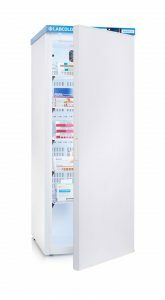 A freestanding 340 litre pharmacy refrigerator fitted with the Labcold IntelliCold® controller to ensure the safe storage of cold chain pharmaceuticals as advised by Public Health England in Protocol for Ordering, Storing and Handling Vaccines. 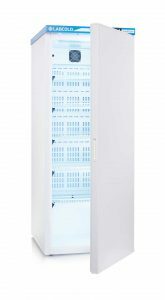 The easy to operate push button controller clearly displays the internal temperature and displays minimum and maximum temperature since the last temperature re-set at the touch of the button. 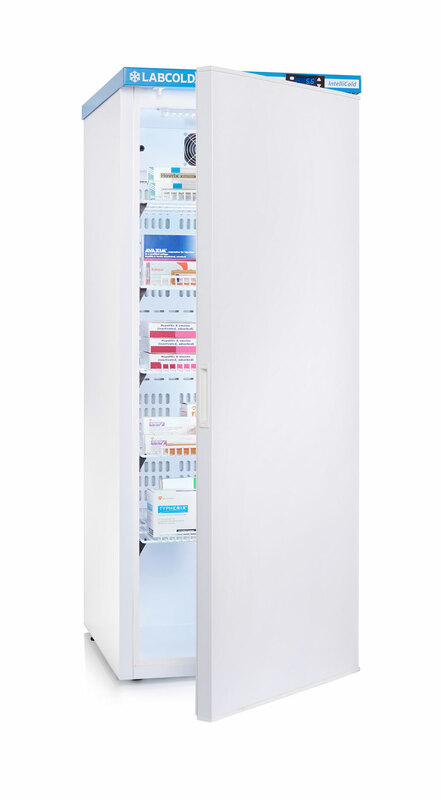 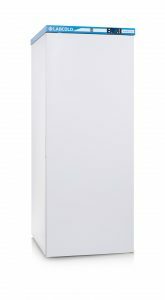 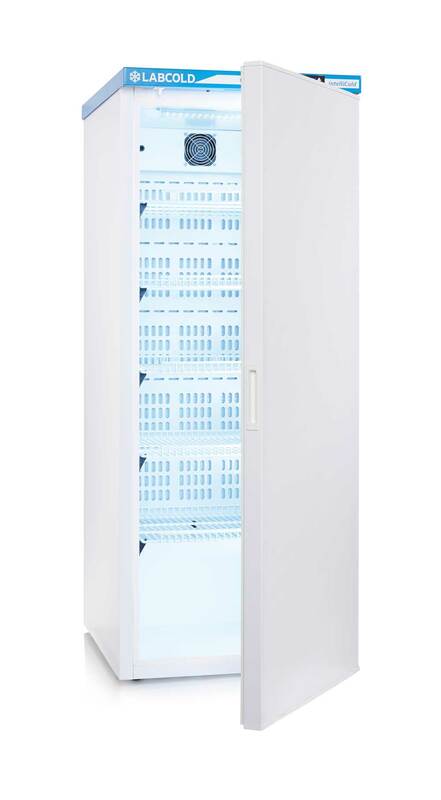 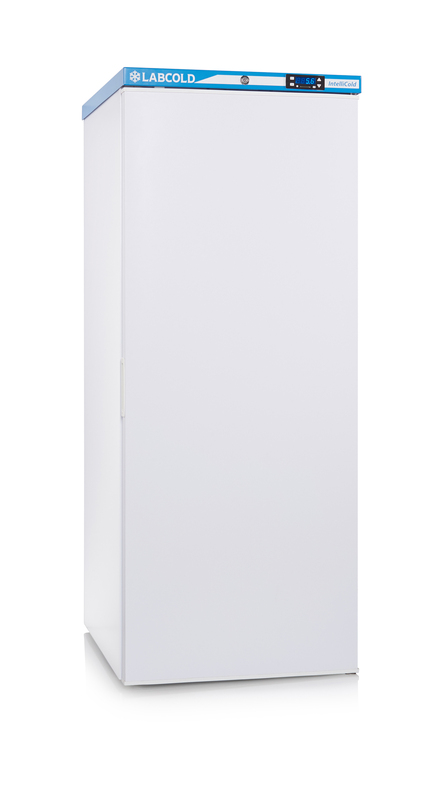 Immediate high/low temperature alarms and controller battery back up which means it functions even in the event of a power failure, makes this fridge one of the safest for vaccine storage.